Driven by the rise of digital media as the main form of content consumption, content marketing has quickly become one of the most commonly used, and most effective, forms of marketing for businesses. This form of marketing involves creating and distributing valuable, consistent, and creative content that not only provides a function for the consumer in the form of information, but also drives interest in the provider’s business. A large difference exists between understanding what content marketing is and knowing how to execute it. One of the best ways to learn is to follow the examples of successful others. 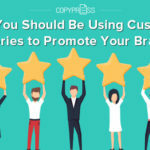 We’ve presented our top six favorite content marketing initiatives that have not only increased the success of the given business, but also allowed that business to increase its customer base exponentially by creating valuable content that directly relates to an individual niche. 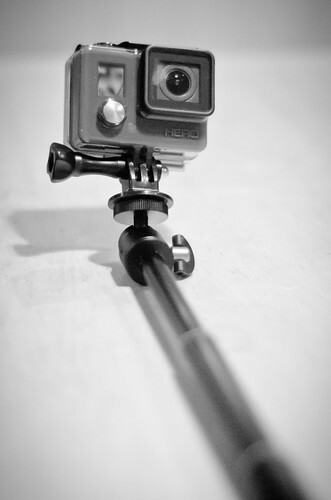 GoPro sells diminutive, high-resolution cameras popular with travelers and sports enthusiasts across the globe. The company’s audience is obvious considering the product: people who love pictures and videos. GoPro has delivered with an incredibly successful content marketing strategy that has led to 3 million subscribers on YouTube and double that number on Instagram. GoPro regularly posts content sourced from their consumers as well as handpicked from sponsored athletes and explorers. These rich images showcase the abilities of the camera, and images and videos are among the most shared content on social media. This shareability gives the company a built-in distribution model: its followers. According to Neil Patel, a marketing and entrepreneurial expert, infographics can double traffic if created in a way that draws in the product or services audience. GoPro has managed to achieve that goal with its brief video snapshots and pictures spread across multiple social media platforms. One of the most important hallmarks of a successful content marketing campaign is finding a niche audience and creating accessible, useful content that works as more than simply a funnel to a product or service. Western Australian–based HBF is one of the largest private health insurance companies in the nation. By targeting the new and expecting father population, the company is able to tap into an often-underserved demographic with content marketing. Direct Advice 4 Dads (or DAD) is a multi-platform content marketing initiative that creates smart, funny, and often emotional content for dads. This advice can range from helping expectant partners to advice on emotional bonding with newborns. This company’s content is easily accessible and personal in nature, and the advice included is often backed by expert opinion. Options for discussions within the site help connect fathers and provide an additional dimension to the already content-rich site. Maternity blogs and information can be found everywhere, but HBF’s focus on a niche market has helped create a vibrant online community that, according to Stephanie Stahl of the Content Marketing Institute, generated 171,000 unique visitors within the first five months. By attracting visitors to its website and providing quality content, HBF has also turned the DAD multi-platform initiative into an excellent referral path for its insurance while still remaining a trustworthy source for new fathers. If you have any in-depth experience with marketing, you’ll recognize the name HubSpot. Its CEO actually created the term inbound marketing, which demonstrates the influence and penetration this company has. Much of the company’s success can be accredited to its incredible content marketing strategy that has cemented HubSpot as one of the industry’s leaders — significant for a company that specializes in marketing strategies and success. HubSpot is home to two main blogs with different focuses: marketing and sales. These blogs are hubs for all types of useful information about inbound marketing which is free to access and rich in resources that lead back to the services offered by HubSpot. By creating genuinely useful information via approachable and expertly sourced copy that helps educate its small business–based client base, HubSpot has become not only a resource, but also a reputable industry leader that supports and encourages small businesses. 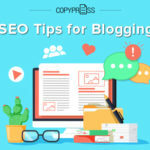 Since the blogs are separated by topic, this approach also helps HubSpot reach more specific clientele who may be interested only in one facet of its business. Specificity can be useful in content marketing, especially if you have a large niche that consists of consistent consumers of information. Specificity and accessibility, in turn, create a sense of genuineness that finds support with media theorists such as Henry Jenkins, who points to transparency and information exchange as two important components of modern company-consumer digital relations. People can access HubSpot’s many resources without having to be a customer. By not requiring a buy-in or producing content that solely works as an ad for the service HubSpot provides, the company forges a connection with its customers that is often appreciated and may lead to future business. In addition, valuable content such as what HubSpot provides is easily shareable, which expands the customer base without significant extra effort on its part. Monster is a major career database that has pushed approachability and transparency in its content marketing for many years. This move has culminated in Monster Career Advice, a page that offers excellent tips and techniques to job searchers. The page also helps generate interest in its paid services, many of which are geared toward helping customers with their job searches. By straddling the line between paid and free content, Monster Career Advice is useful to both casual browsers and serious job candidates who want to improve their chances of success. Their rate of production is also notable: 15 blog posts per month are generated, in addition to their other media resources such as career advice videos, Top Companies listings, and podcast. While not every content marketing strategy needs to be this prolific, the company’s success is a clear indicator of the efficacy of content marketing. Perhaps the most successful example of simple yet effective content marketing is Coca-Cola’s “Share a Coke” campaign. 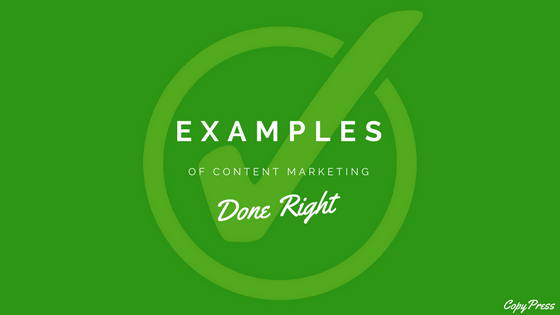 All the other examples listed so far have used images or written content to drive their content marketing campaigns. Coca-Cola took a different angle by using a distinctive yet instantly recognizable form of content to attract customers: their names. “Share a Coke” is perhaps the soft drink monolith’s most successful content marketing campaign and one of the most simple. Some may have the misconception that content marketing must be complex. If done correctly, simple content marketing strategies can be as if not more effective and reach an incredible audience. Personalization was certainly one of the main reasons why this campaign was so successful. Both international and personal, choosing this direction for its campaign created not only incentive to buy the product thanks to the individual nature of the advertisement, but also created a connection between the producer and the consumer. By using names, Coca-Cola worked to establish a personal tie that indicates both consideration of and care for the consumer base, a difficult feat considering the monolithic size of the Coca-Cola empire. While Frontline Education is not a new software company, this 20-year old business recently completed renovated its marketing strategy to switch focus to a more content base. This content is designed to support educators and provide inspiring and informative posts. These posts range from customer interviews to industry data and expert-written posts, all of which target its audience which consists mostly of teachers and school administrators. By creating a supportive environment via its content, Frontline Education has positioned itself as an ally to educators, which helps not only drive sales and the product, but also increases the client base. Don’t think that this method is disingenuous or shallow — rather the company is able to combine an apparent passion for the field with a product designed to further help educators. Disingenuity is one of the fastest ways to capsize even the most well-intentioned content marketing strategies and is something to be aware of when designing and implementing your plan. 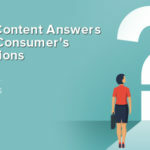 Content marketing combines both effective digital marketing tools such as transparency, approachability, and consideration with funneling techniques that drive both web views and product or service interest. 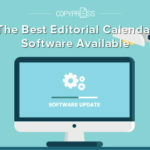 While many of these examples include the exhaustive creation of content in order to establish themselves as both industry leaders and conscientious producers, content marketing can be easily implemented without as much work. An easy way to begin establishing a content-based marketing strategy is to begin segmenting your audiences and finding out what information or content they’re looking for. Content shouldn’t be established solely around the product or service but should be applicable in a broad way to your consumers’ lifestyles. By focusing on application over product, customers are more easily able to approach your content and use it. Content that is ultimately an advertisement for your company will appear far shallower than rich, layered content that delivers the desired message while also subtly pointing to your company’s product or service. Content marketing is one of the best ways to break into digital marketing and effectively use online media to help draw in customers. 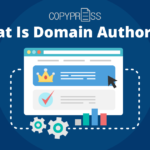 While it may take more work to begin, hopefully the strategies from the examples above can help inspire you to create your own effective content marketing strategy.